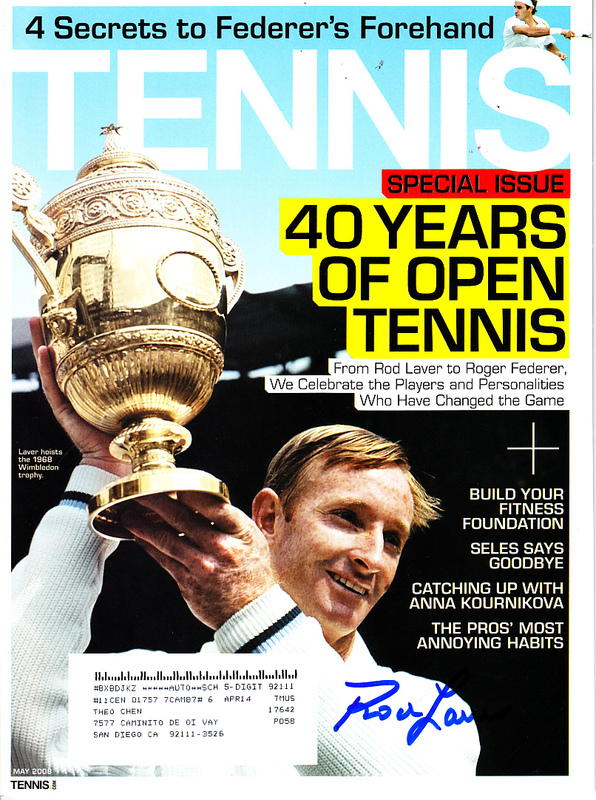 Complete May 2008 Tennis magazine (40 Years of Open Tennis) autographed in blue marker on the cover by the legendary Hall of Famer (Rocket) Rod Laver. 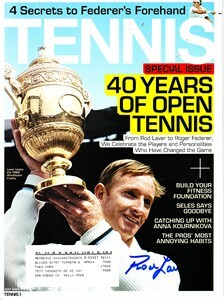 Has subscription address, otherwise pristine condition. Obtained in person. With certificate of authenticity from AutographsForSale.com. ONLY ONE AVAILABLE FOR SALE.